What is Ehlers Danlos Syndrome? Ehlers Danlos Syndrome is a group of conditions caused by genetic alterations in collagen. Collagen is a type of protein found throughout our bodies which gives strength and support to many vital body tissues, …but it is best known as an anti-wrinkle treatment! 70% of skin is made of collagen, which endless pills and potions claim to rejuvenate. There are different types of collagen, which sometimes work together in not only skin, but also bone, blood vessels, the gut, and tissues around joints such as tendons, ligaments and cartilage. The way collagen is made and functions is determined by the genes you inherit from your parents. Unfortunately due to a genetic alteration, some people make collagen that is weaker and more stretchy than it should be. 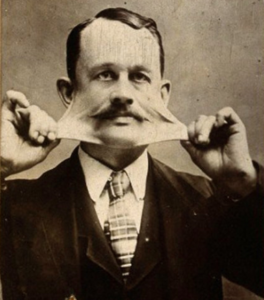 This causes certain physical signs and complications which became known as Ehlers Danlos Syndrome, named after the two doctors who studied the patterns of physical signs around 1900. There are several types of Ehlers Danlos Syndrome (EDS), each with a different type of collagen affected, creating different complications. For example Vascular type EDS is caused by a fault with type 3 collagen and is considered the most serious form of EDS due to fragile blood vessels and organs which can rupture. 80% of Vascular EDS patients develop a life threatening complication by the age of 40. Some types of EDS are very rare. Type 7C Dermotoparaxis (extremely fragile sagging skin) has only been found in ten people. All types of EDS have some features in common: skin elasticity (stretchy skin), joint hypermobility (commonly known as being double jointed), and other fragile body tissues, eg. a weak stomach wall leading to hernias, stretchy blood vessels, and thin heart valves. The altered gene causing several types of EDS has been found. But no treatment has yet been developed to improve the strength or function of collagen. So there is no cure for Ehlers Danlos Syndrome, …and despite what beauty therapy companies may claim, there is also no cream or pill that can cure wrinkles! Skin elasticity (stretchy skin) occurs in all types of EDS, although it is most noticeable in Classical type EDS which is caused by a fault with type 5 collagen. Along with stretchiness, weak collagen can also cause skin to be fragile, prone to bruising, and slow to heal leaving wide scars. Joint hypermobility means that one or all of a person’s joints have an unusually large range of movement. It is common in the general population, particularly in women, children and the Asian and Afro Caribbean races. Ligaments attach two bones and hold joints together. They are 99% collagen, so weak collagen in ligaments allows excessive range of movement of the joint. Having hypermobile joints is not considered a disease. Often it does not cause symptoms and can even be of benefit to dancers, athletes and musicians. However some people can easily damage their joints or the soft tissues around them as their joints can over-extend or dislocate easily. Recovery from these injuries can be slower than normal and they can become repetitive injuries causing long term pain. If someone has hypermobile joints along with other complex symptoms caused by abnormal collagen (eg. affecting the heart and blood vessels, digestive system and lungs) they may be given a diagnosis of one of the Hereditary Disorders of Connective Tissues (HDCT), such as Ehlers Danlos Syndrome, Joint Hypermobility Syndrome, or Marfan Syndrome. (There is little, if any, clinical difference between Ehlers Danlos Syndrome Hypermobility type and Joint Hypermobility Syndrome (ref). In this blog I will be using the term Ehlers Danlos Syndrome Hypermobility type as it is internationally more recognised). In 2001 I was diagnosed with Ehlers Danlos Syndrome Hypermobility type (formerly known as type 3), which affects 1 in 5000 people. Hypermobile joints are the most noticeable sign of this type. Joints can be unstable and dislocate easily and frequently. Long term pain is common, from both joints and soft tissue injuries that heal poorly. Unlike some better known connective tissue disorders, such as Marfan syndrome, EDS Hypermobility type does not reduce life expectancy, however it can be the most painful and disabling of the connective tissue disorders. (ref). The altered gene that causes EDS Hypermobility type has not yet been found. In under 10% of cases there is a fault in the production of a protein called Tenascin X that interacts with collagen. (ref). There are common problems experienced by people with EDS Hypermobility type which are thought to be caused by their weak connective tissue. For example Postural Orthostatic Tachycardia Syndrome (POTS), a cardiovascular condition causing a rapid heart beat and fainting. This is a result of weak and stretchy blood vessels which allow blood to pool in people’s legs (see What is POTS?). Digestive complications are also common, and may be caused by weak and stretchy connective tissue in the gut which makes peristalsis less efficient (peristalsis is the contraction and relaxation of muscles which moves food through the digestive tract). Another possible cause is a malfunction of the autonomic (involuntary) nervous system. Fatigue is a frequent concern in many musculoskeletal conditions (musculoskeletal conditions are degenerative or inflammatory conditions causing pain and impair normal function). Pain causing poor sleep patterns or poor quality sleep is thought to be a possible cause of this. An autonomic (involuntary) nervous system malfunction could also be a factor. Full and partial joint dislocations. Skin elasticity (stretchy skin) that may bruise and scar easily. Stretch marks are also common. Skin often feels soft and velvety. Recurring soft tissue injuries (such as tendon and ligament injuries), that heal poorly. Cardiac mitral valve prolapse. (ie. the heart’s mitral valve doesn’t work well. The flaps of the valve are “floppy” and don’t close tightly.) (ref). Cardiovascular autonomic dysfunction ie. the heart and circulatory system do not work as they should due to a malfunction of the autonomic (involuntary) nervous system. This can cause conditions such as Postural Orthostatic Tachycardia Syndrome (POTS). (ref) (ref) (ref). Gastrointestinal autonomic dysfunction ie. the digestive system does not work as it should due to a malfunction of the autonomic (involuntary) nervous system. (ref) (ref) (ref). Poor Proprioception. (Proprioception means awareness of joint position and spatial awareness). Poor proprioception can lead to injury. (ref) (ref). Hernia due to weak stomach and pelvic wall muscles. (ref). Resistance to local anaesthetic. (ref). Chronic pain. (ref) (ref) (ref). Myopia (short-sightedness) and other eye features (ref). In women with EDS symptoms are often worse around the menstrual period due to hormonal changes. When a joint or soft tissue injury occurs it is best treated with a combination of physical therapies which suit the individual affected. Treatments include: physiotherapy, occupational therapy, exercise programmes, pain killers, muscle relaxants, cognitive behavioural therapy and pain management programmes. (ref) (ref) (ref). NSAID’s (Non Steroidal Anti-Inflammatory Drugs) such as Ibuprofen, can be helpful during painful episodes, but are ineffective with chronic pain (long term pain). As they can lead to serious side effects, such as bleeding in the digestive system, they should only be used for a limited time. People with EDS Hypermobility type may find that even maximum doses of strong pain killing drugs (such as morphine, oxycodone, fentanyl and methadone) provide little help. The reason for this is not known, but could be due to a fault in ‘pain processing’. But other alternative pain relief treatments such as a TENS machine can be very helpful (a TENS machine is a small battery operated device which sends electrical pulses into the body). Local anaesthetic injections, which are often used by dentists and during minor surgery, are less effective on people with EDS Hypermobility type. (ref). The gene that causes EDS Hypermobility type has yet to be found. It’s possible several genes may be involved. We have two copies of each gene in our body, one inherited from our mother, and one from our father. 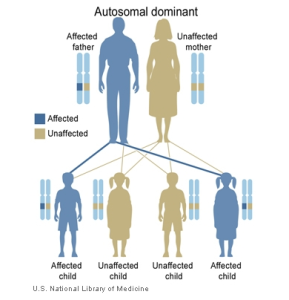 In most cases EDS Hypermobility type is passed on in an Autosomal Dominant pattern. This means you only need to get the affected gene from one parent in order for you to inherit the disease. When a person with EDS Hypermobility type has a child they will pass on one copy of the gene associated with EDS Hypermobility type, either the EDS carrying copy, or the unaffected copy. 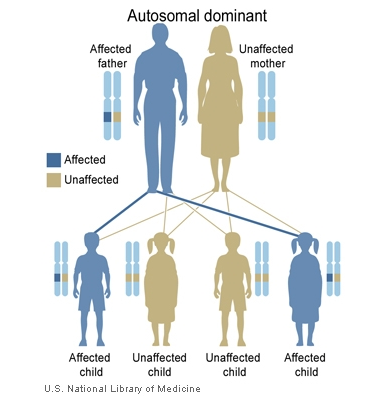 So the child has a 50% chance of inheriting the affected gene and having EDS Hypermobility type. Symptoms can vary considerably within a family, with some family members being mildly affected and others with severe problems. The gene alteration could happen for the first time in an individual, so there may be no previous family history of the condition. Until the gene or genes causing the condition is found, the exact pattern of inheritance won’t be known. (ref). If a doctor or physiotherapist thinks a person may have hypermobile joints, the Beighton score can be used to assess the range of motion of some joints (see below diagram). 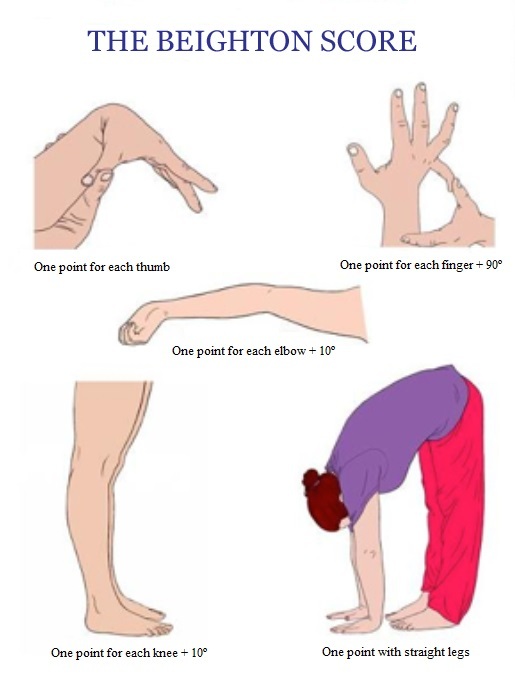 If your Beighton score is four or more, it is likely that you have joint hypermobility. One point for each elbow that bends backwards 10 degrees or more. 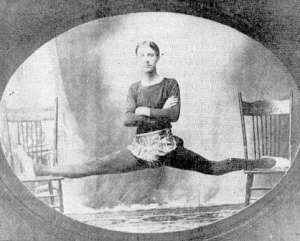 One point for each knee that bends backwards 10 degrees or more. One point for each thumb that touches the forearm when bent backwards. One point for each little finger that bends backwards beyond 90 degrees. Diagnosis is usually made by a rheumatologist, based on a patient history, physical examination, and use of the Brighton Criteria. (ref). The Brighton Criteria take into account a person’s Beighton score, but also considers their patient history and other symptoms related to connective tissue disorders to help establish if a person has EDS Hypermobility type. – Two major criteria are required, or one major and two minor criteria, or four minor criteria. Two minor criteria are sufficient where there is an affected first-degree relative (ie. parent, sibling, or child). A Beighton Score of 4/9 or higher. Joint pain for longer than 3 months in 4 or more joints. A Beighton Score of 1, 2 or 3. Joint pain for longer than 3 months in one to three joints. Or back pain for longer than 3 months. Full or partial joint dislocation in more than one joint. Or in one joint on more than one occasion. Soft tissue pain. More than 3 lesions (e.g. epicondylitis, tenosynovitis, bursitis). Marfanoid habitus: a tall slim body shape, arm-span greater than height. Abnormal skin: skin elasticity (stretchy skin), thin skin, stretch marks, papyraceous scarring (cigarette paper scars). Eye signs: short / near sightedness, drooping or downward slant to the eyelids.